In a digital age where we’re constantly encouraged to leave reviews for every product we buy, you’d be surprised how many merchants still don’t use product reviews effectively. They help to build trust with your audience, promote individual products, and create a database of user-generated content to use in future marketing efforts. But let’s take it back to the basics to see how you can make sure you’re both receiving steady streams of product reviews, as well as using them effectively to promote your store. There is a sweet spot in product reviews that tends to be around 7 to 14 days after fulfillment. Any less and your customer may not have gotten around to using their product yet. Any more and they may have already moved on to other products. You can choose a unique number of days after purchase to send a product review request to your customer, contacting them right when they’re most likely to let you know what they thought. Once your review request forms are easy to use and timed appropriately, consider using incentive coupons to entice customers to leave reviews. If you use Stamped.io to collect reviews in your Ecwid store, you can automatically offer customers a certain percentage or amount off of their next purchase in return for leaving their honest review. 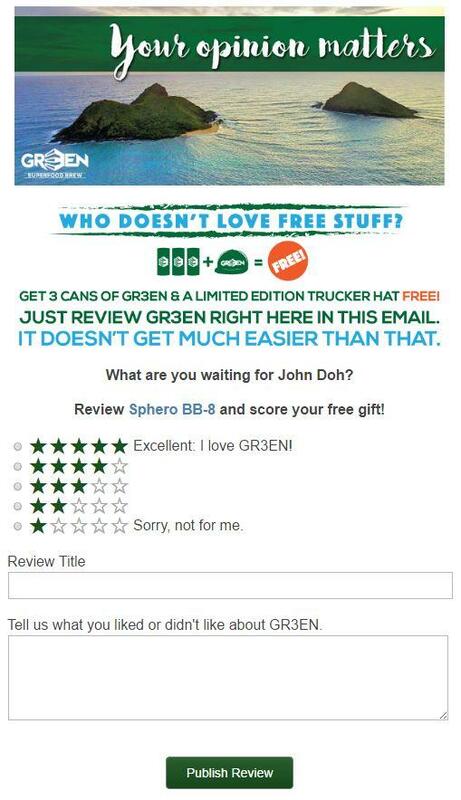 Not only does this encourage product reviews, but it also builds customer loyalty as they return to your store again and again. When you’re just starting out, you may find it tempting to stick to basic review request forms. But if you put in a bit of extra thought and customize your questions, you should find that it pays off in review conversions and sales. For instance, ask your customer about other related interests so you can start to build a better idea of your audience and what they’re likely to purchase next. So your product reviews are coming in fast, and you’ve figured out all the right ways to encourage your audience to respond to your request forms. You’re done, right? Not yet! Effective use of product reviews is what starts to increase conversions and boost your sales, so you won’t want to miss out. I’ve found the Stamped.io reviews amazing for making people feel we’re trustworthy. I’ve also found those reviews answer a lot of questions people have so they don’t need to contact us before ordering. They are comfortable ordering right away. Before the reviews, I would often get emails from people asking if we were still in business and if the site was active. They said they have had bad experiences in the past ordering from defunct sites. The reviews show that we are current. Here are three tips for using product reviews effectively. 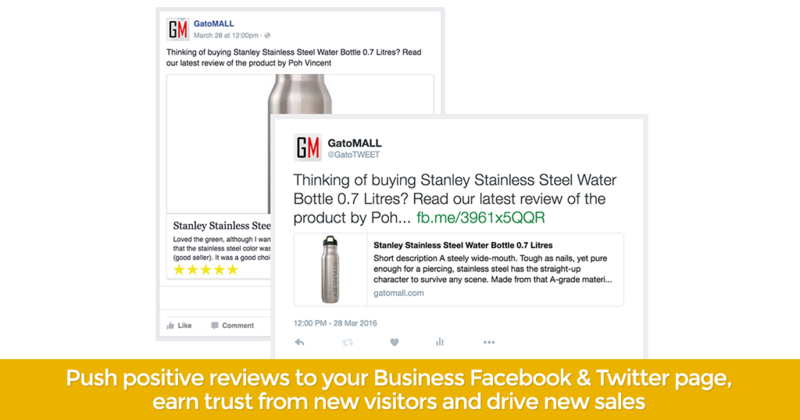 With just a few clicks, you can set up your product reviews to be automatically pushed to your social media channels. Allowing product reviews to be pushed to social media allows for social sharing and provides a great database of user-generated content to use in future marketing. This is especially important for your Facebook page, where you can have a separate tab for Reviews that’s easily seen by all potential customers who come to you by way of social media. It seems like common sense, but you need to remove all barriers between your customer and their decision to leave a product review. Stamped.io allows your customers to leave their product review through an in-email form, so there’s no need for them to click off to another page. You can also show them the exact product they bought as a link and an image, so there’s no confusion over what product you’re referring to. It’s no surprise that we live in an image-based society these days. If it’s true that a picture is worth 1,000 words, then you’re surely going to want to enable the customer image feature in Stamped.io. 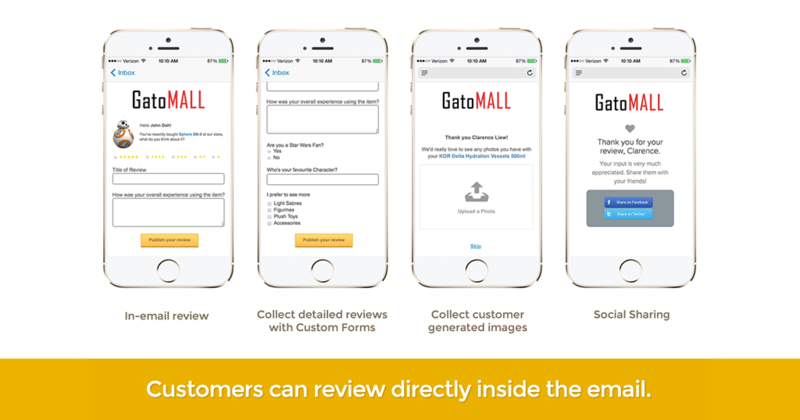 This feature allows customers to upload their pictures using or wearing your products along with their text review. This is especially important for clothing or accessory stores, as your audience wants to be able to see what your products look like on all body types. In addition to being displayed on your website, these images can also be used to create fantastic Instagram campaigns as well. Send product review requests 7 to 14 days after fulfillment for maximum conversions. Incentive coupons and customized request forms encourage customers to leave reviews. Don’t forget social media: push product reviews direct to Facebook and Twitter. Use images wisely. Product images in your request forms remind customers exactly what they purchased, and giving customers the option to upload their own review photos will make reviews even more effective. Stamped.io is now available as a free download on Ecwid here. If you wonder how else you can benefit from customer feedback, check out 4 ways to use social proofs to promote your store. Tommy is the founder and CEO of Stamped.io, a User-Content Generation platform that helps businesses gather and harness the power of their customer's words to increase sales conversions. Previously, Tommy worked in e-commerce, internet marketing, and enterprise applications. He sold his ERP startup in 2015.